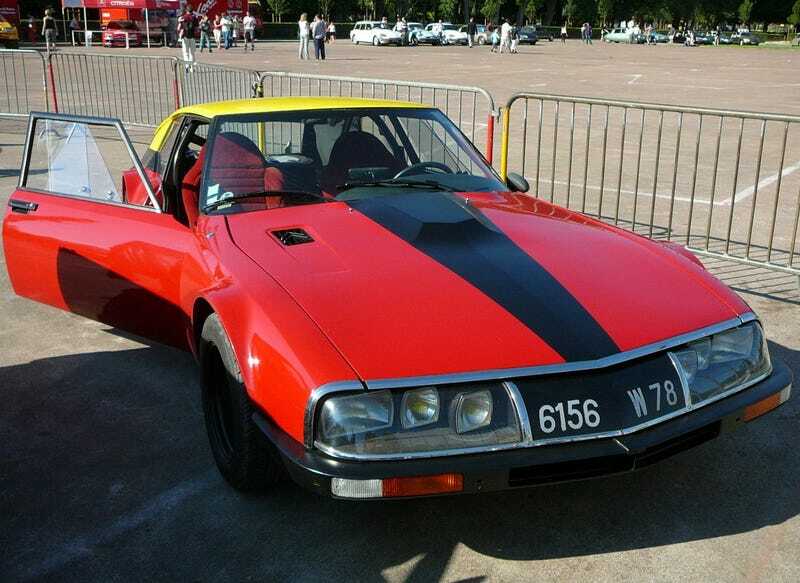 That Citroen SM Rally Prototype is more than awesome. Big wheel arches? Check. Shooting brake style rear? Check. Low stance? Check. Front lip and rough looking black steelies? Check.